Kathryn is a senior on both the East Football and Basketball Varsity Cheer. 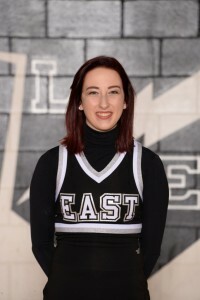 Kathryn is a strong leader for the East Cheer Program. She always giving 100% and is willing to help out with anything. 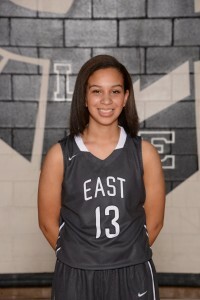 Jordan is a sophomore on the East Girls Varsity Basketball Team. She demonstrates a strong work ethic and positive attitude on a daily basis. She is often the first one on the court for practice and the last one to leave. Jordan is averaging 10 points per game and leads the team in scoring.